Classic DC Universe villain, Captain Boomerang! Check out those awesome outfit of the character which briefly appeared on Conan during the origins of the Flaming C! Must-have action figure of the ever-popular Superfriends nemesis to the Flash! 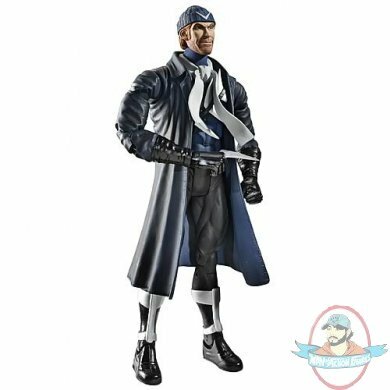 From Mattel and the DC Universe, this exciting 7-inch scale Captain Boomerang action figure features tons of detail and plenty of articulation. Don't miss out on this exceptional figure! This Captain Boomerang action figure comes with an Apache Chief Collect and Connect piece, proving the hero has the ability to grow large!